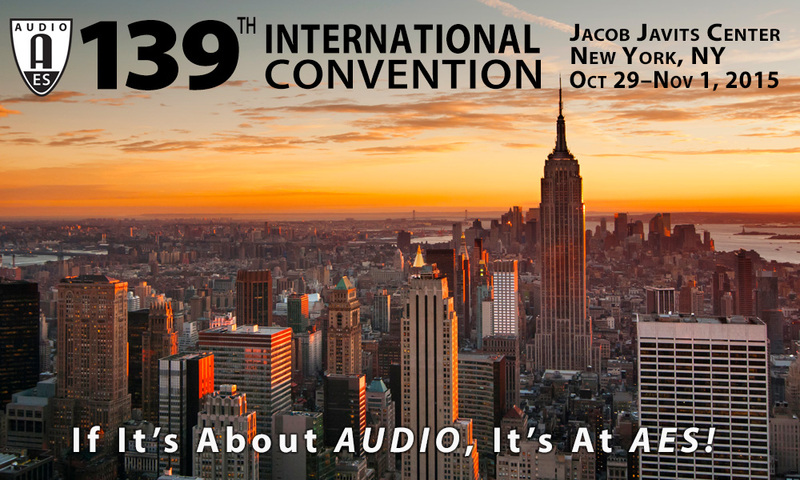 If it’s about Audio, it’s at AES – and this year’s 139th AES International Convention will once again take over the professional audio landscape of New York City, October 29 – November 1, 2015, at the Jacob Javits Center. 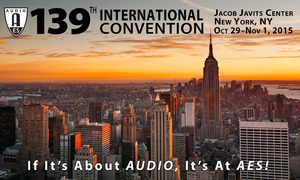 From the Special Events and Exhibition Floor presentations offered by the free Exhibits-Plus badge, to the four days of in-depth Tech Program available to holders of the premium All Access badge, the 139th AES Convention will offer a of range topics and technologies with points of interest for every aspect of the audio industry. Early Registration tier pricing ends July 31. Additionally, the AES has made arrangements with several hotels in the area to offer special pricing and reservations for AES attendees, exclusively available through the AES Housing website.